I’ve been lucky enough to nab myself a permanent job at a large public hospital with a small amount of permanent hours, but the option of tacking on more or less as many hours as I want. That essentially translates unlimited holiday time/money, depending on what I feel like. So what’s the catch? The catch is that I’ve also nabbed myself an 85km return trip for every day that I go into work. But it’s not all bad. Although I’m in the car for 2 hours a day, that’s actually no more than how long I used to spend on public transport. Plus, this has opened up the vista of the entire western suburbs for my dining pleasure. All of a sudden, I can easily pop in for dinner at hundreds of restaurants for cuisines I have never tried, and dishes I’ve never even heard of. And because I don’t like doing things by half measures, I started out with a bang at Safari, a home-styled Somali restaurant. Based on previous experiences, I expected Safari to be either rustically ethnic, or dingy and dim. So it was a big surprise when Safari turned out to be bright, clean, and cheerful. 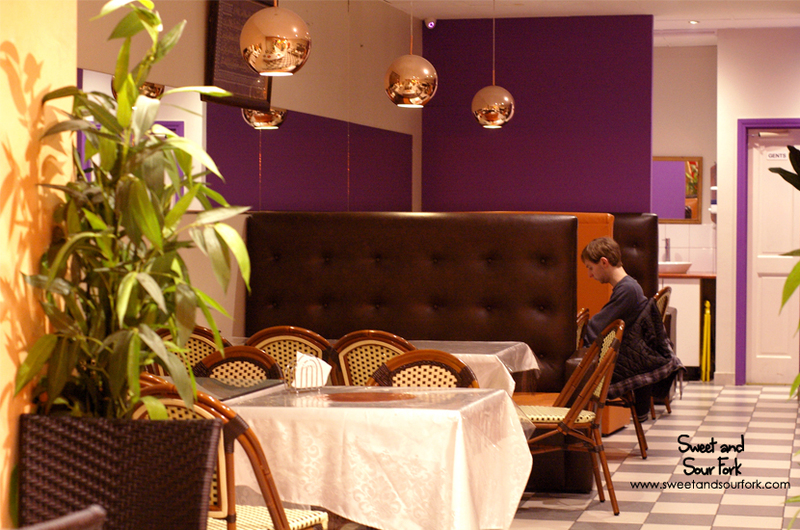 The restaurant is divided into comfortable, secluded booths. Or as I’d like to call them, modesty booths, for those of us who don’t look so pretty when we eat. The menu was barely legible, owing to the hilarious typos (lame with race), and the sheer exoticness of the dishes – who’s up for some key key, injeero and suqar, and maybe a federation for 3? We ended up palming the work off to our waiter, who suggested a couple of dishes for us, whilst we sat back and prepared to fill our stomachs. 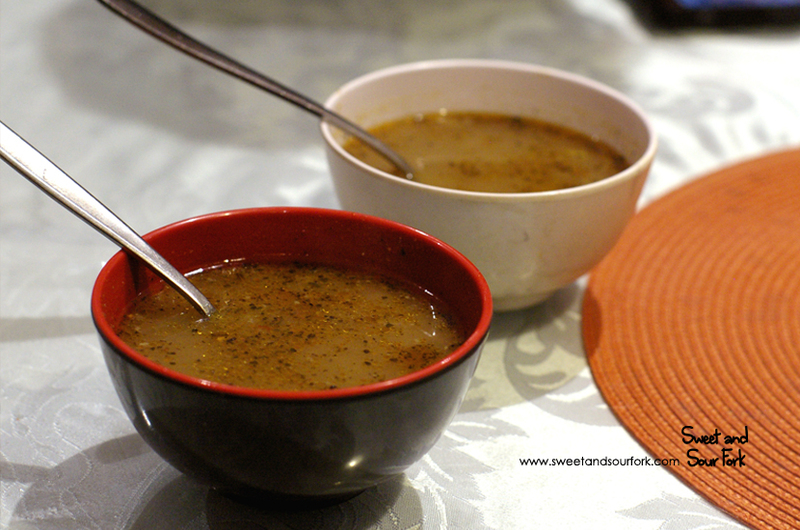 I love meals when they start out with a freebie, even when it’s a thin, murky looking soup like this one. No wait don’t go! Despite the unappetising appearance, this is one of the most delicious soups I have ever had. Spicy and tangy, the balance between the gamy stewed lamb and the myriad of chilli and herbs made for a mouth-watering combination. The sheer amount of flavour in every sip simply blew me away. 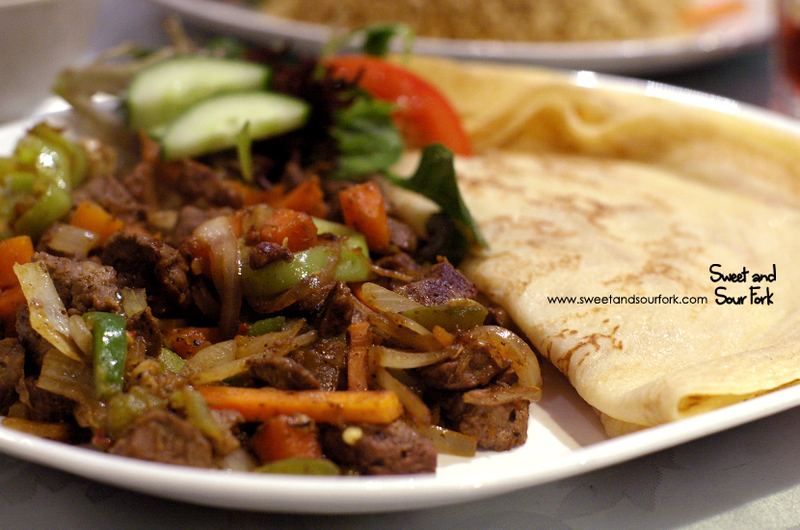 So the first dish our waiter recommended was the Malah and Suqar ($18) – a large plate of stir-fried beef and veggies served with a side of flatbread. 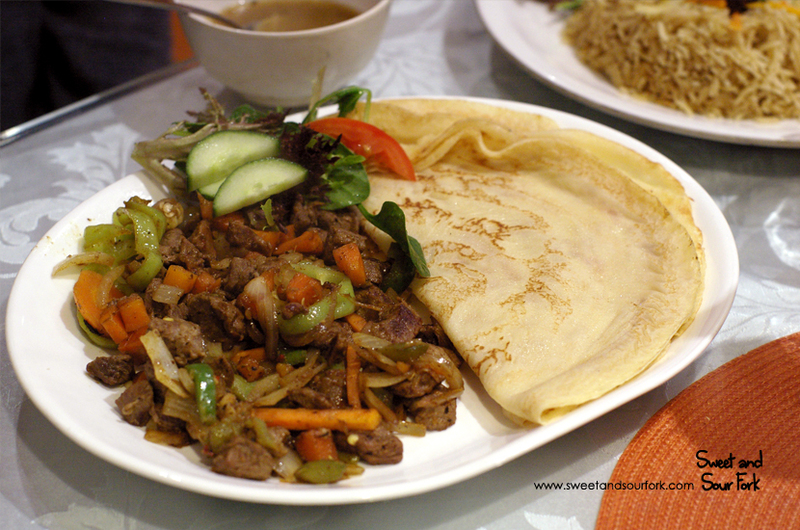 The flatbread was tender and almost crepe-like, its slight sweetness bringing out the smokiness of the meat and veggies. This tastes best when you use your hands. Following along the meat-and-carbs vein, the Mandy Rice, Lamb and Salad ($18) was a satisfyingly hearty plate of meat and three veg. 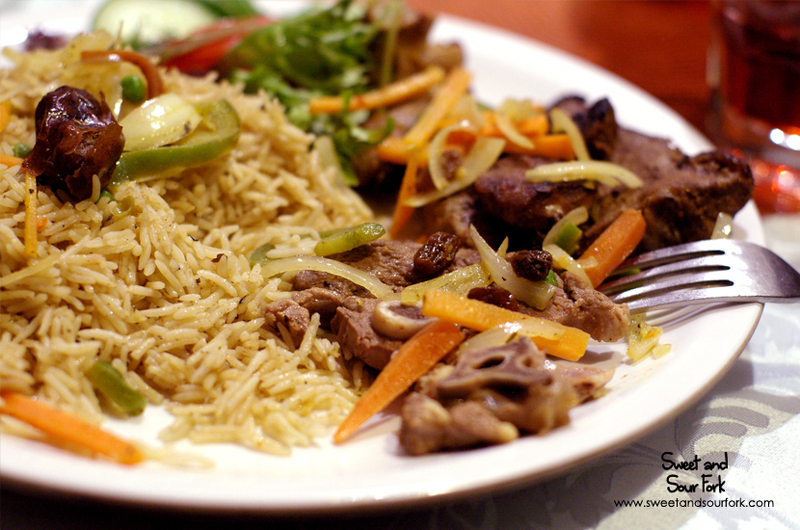 The pink and juicy cutlets of lamb, complete with charred edges, were marinated in a flavoursome blend of cumin and lemon. The individual grains of rice glistened with the spiced stock, and every now and then, there will be a surprising burst of sweetness from the handful of plump currants. And free drinks too! 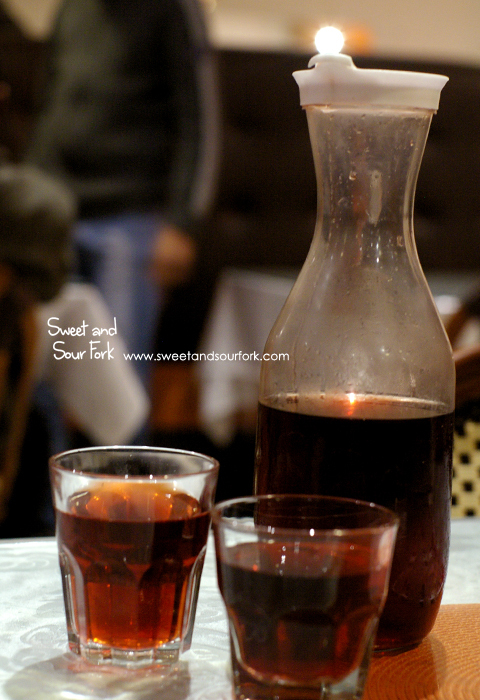 We were served a whole carafe of Vimto, which according to Wikipedia is a combination of grape, raspberry, and blackcurrant juice, flavoured with herbs and spices. Except all I taste is the red food colouring that makes kids hyper. Is that a bad thing? Not even a little… unless you’re a parent with toddlers in tow. Though not exactly fine dining, this was an uncomplicated and immensely satisfying meal. The honest home-cooked food oozed with love and authenticity, and although it won’t wow the critics, it’s sure to be a crowd-pleaser. 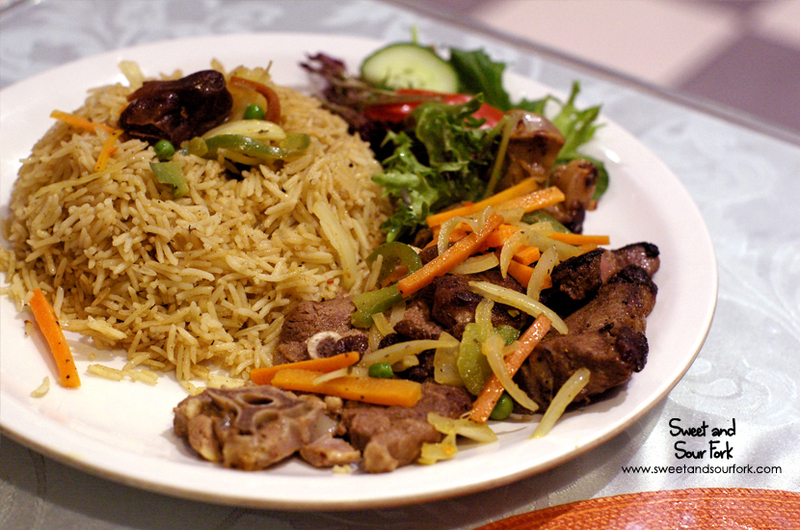 Rating: 12.5/20 – tastebud safari. 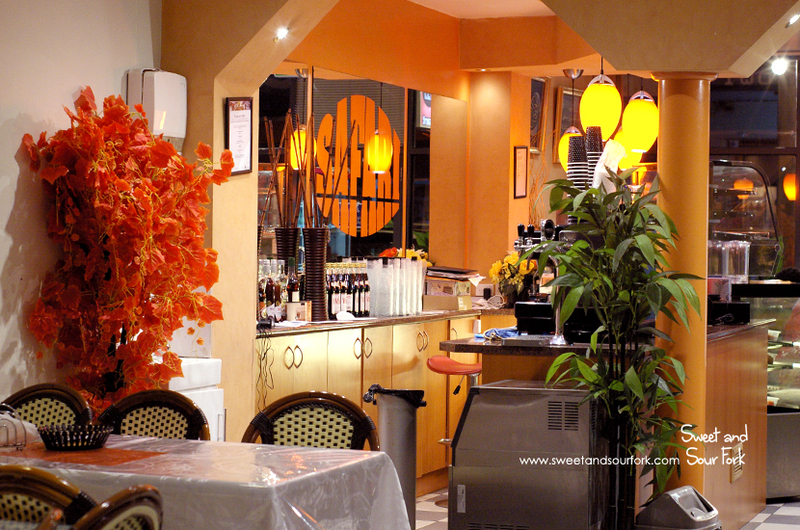 Yes I've tried Safari restaurent and they have very delicious meals especially the variety of the meats . I visit them on a weekly basis and I really enjoy the food. I rate it 17/20.